This 150 year old Georgian house is older than the Confederation of Canada, but it's been fully restored to make you a home in Ottawa-Gatineau. Warm antiques, modern kitchen, charming bedrooms - plenty of room for your family and friends to chat around the dining room table. Only a few blocks from the Royal Canadian Mint, the National Gallery of Canada and the Ottawa river. 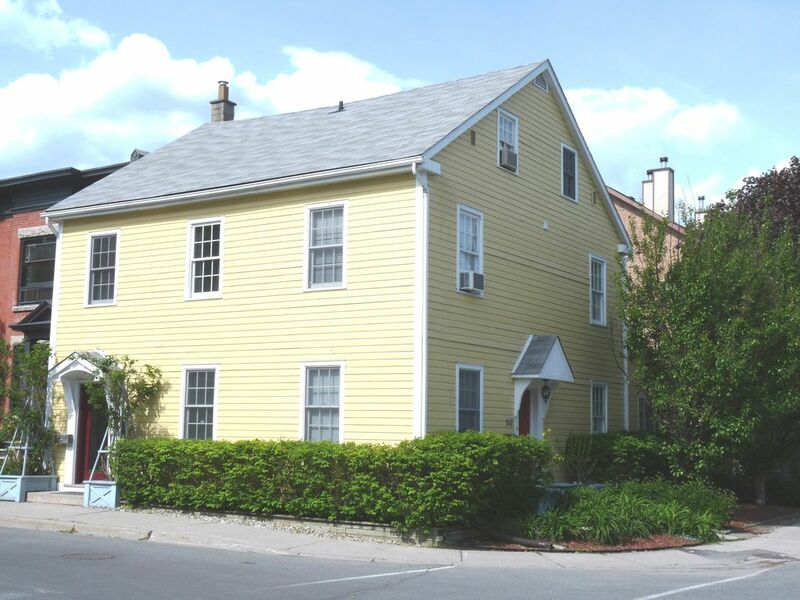 We're a short walk to Parliament and the National Art Center, and minutes from the Bytown Market, 24 Sussex drive and the Rideau Falls. Lowertown is spicy, historic and trendy and you'll be in the center of it all. Contact us directly via email to arrange booking, discuss pricing and availability. Prices will always be less by booking with us directly, but we are also on Airb &b, Trip Advisor, Booking and have our own website. We can answer all your questions! We rent the whole home to one family at a time. There are two bedroom, each with a queen size bed. The home is over 150 years old, so the stairs are a little steep, a consideration if you have young children or difficulty climbing. The kitchen is stocked with all the cooking necessities you would need to prepare, dine and have guests over. Shopping for food, staples and treats is fun and close. The dining room has an expandable table and chairs for family and friends. The living room has plenty of room for games, a 50 inch plasma TV and books for curling up to read. Linens and towels are provided. Laundry (washer and dryer) are right next to the bathroom. Rates for the house vary based on season and days, with extra charge for more than 2 persons and for cleaning. We enjoyed the house, especially well stocked kitchen since we liked to prepare most of our own meals. We appreciated the spaciousness and attention to detail. It made our Ottawa visit much more pleasant. Thank you for your kind words, Lyn. I am happy your group had such a great week together and thank you for being terrific guests! Please stay with us again!